Glenda's Creative Place -Paper Crafting fun, CRICUT, CLOSE to MY HEART Consultant, Stamps, ... : WOOHOO!! NEW CTMH ARTFULLY SENT CRICUT CARTRIDGE IS AVAILABLE TO ORDER!!! WOOHOO!! 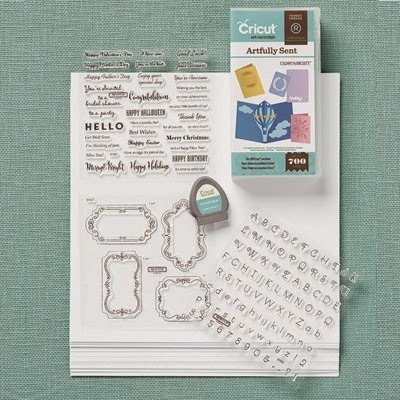 NEW CTMH ARTFULLY SENT CRICUT CARTRIDGE IS AVAILABLE TO ORDER!!! WOOHOO, YIPPEE, YAHOO!! FINALLY--the brand new, much anticipated, longed for, and much sought after Close to My Heart Cricut cartridge, ARTFULLY SENT, is now ready to order on my shopping site. Click right here!! I WANT YOUR BUSINESS!! I really want you to order this cartridge from me!!! This is WITHOUT a DOUBT, the most amazing Cricut cartridge that has ever been released! You will be astonished at all that it can do!!! The Close to My Heart Artfully Sent Cricut Cartridge. 3 - My Acrylix D-size stamp sets that were designed specifically to beautifully complement this cartridge. 1 - 12"x12" White Daisy Cardstock pack. Here is my special: Everyone who orders ARTFULLY SENT, or any of the OTHER 3 CTMH Cricut cartridges on my shopping site, from now through Fri. Sept. 19th, will get their choice of ANY "B"-sized stamp set FREE from me (see just a few samples below!) You can find all of the "B"-size stamp sets available either on my CTMH website, or in the CTMH new CTMH Annual Inspirations 2014-2015 Idea Book. Their item code will begin with the letter B. (***FYI, your stamp set will be mailed separately - please--do NOT add it to your shopping cart!***). 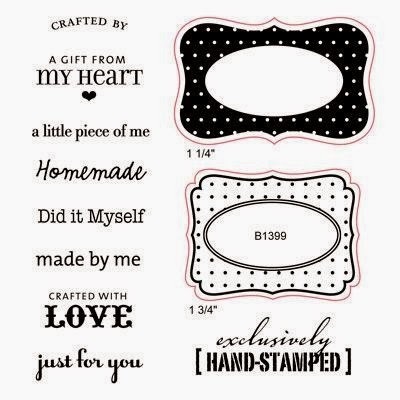 Additional special: If you refer a friend to me and they buy ANY of the four Close to My Heart Cricut cartridges, I will send you a 12 combo pk of our CTMH White Daisy and Colonial White cardstock. These two cardstocks are the absolute best choice for you to use with your Cricut. 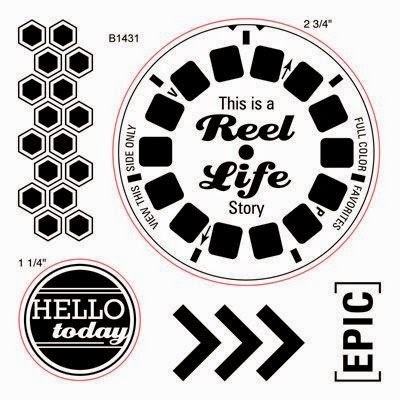 You will get soooo much use out of them for creating, cutting and stamping all of your Cricut-compatible images, as well as your regular Cricut cuts, not to mention for use as card bases and also as backgrounds, journaling blocks or photo mats for scrapbook layouts, plus much more. You will reach for these time and time again!!! So COME ON old and new friends alike, I really WANT YOUR BUSINESS!!!! Please help me expand this business venture and wonderful journey that I feel privileged to be a part of with Close to My Heart.